I wouldn't call most of Disney's movies sugary sweet, including Aladdin. I didn't see the King Arthur movie either since it seemed bound to flop but I read that the effects were amazing. I did look up that Ursula character you mentioned and I could only find concept art of her but she looks positively grotesque if this is who you mean. 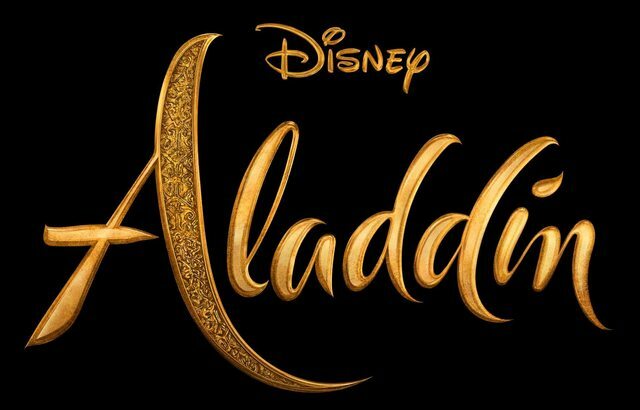 If Aladdin feels less like a musical, I'd say that's only because Howard Ashman's treatment wasn't used since the original was very musically inclined. One thing I would have liked to have seen here is all the Arabian Nights reprises throughout the film, or at least at the end for the finale. Official online destinations for Aladdin. I like the logo. The swish in the A almost reminds me of a crescent moon as well as a scimitar or dagger. The creature doesn’t look like that in the movie. But I brought her up because he really leans into this dark dark fairy tale vibe throughout the movie, most of it revolving around that character. It’s very sparse, but I can see how he could do something interesting with Aladdin from those scenes. As for the sugary sweet, I just mean a few small parts. There’s meant to be sweetness, especially with the genie. I’m sure their relationship will stay in tact, just be a little less over the top because Ritchie never leans into heavily emotional territory. Did Disney say Ursula was meant to be like Morgan le Fey? I'm curious. I saw most of Ritchie's Arthur and while watching thought it was either boring or bad. Sugary sweet has a negative connotation though and there's nothing in Aladdin that I would say is overly touchy-feely. Aladdin and Genie's friendship is one of the most beloved in the Disney canon so it would be a shame to not underscore that. At the same time, that was in part because of Robin Williams' performance so I wouldn't expect Will Smith to be able to replicate that. Disney's Divinity thought that nomad2010 was saying that there was a Morgana character in the King Arthur movie who was based off of Ursula. I agree. I think Kenneth Branagh's Cinderella was a great Disney remake that kept the classic Disney emotions, unlike Bill Condon's BATB which was quite devoid of emotional depth. I'm afraid Aladdin is leaning more towards the latter. I agree about Cinderella and BatB. Cinderella really brought the emotion between Ella and Kit. I forget if I thought The Jungle Book had much emotion or not. But BatB felt like opulence and musical showmanship over emotion. It was sad when the enchanted objects died, but the emotion should have also, and more importantly, been given to Belle and the Beast! We also do not know the extent of the part of the Genie in this particular version. Maybe it was innitially toned down from the original. I could see that Will Smith not being a Robin Williams ball of energy type of guy would have some extent on his screentime and appearance. I can see this. Ritchie is known to favor the more street level characters, it's probably what attracted him to Aladdin in the first place. My guess is his original cut leaned a lot heavier on Aladdin (not a bad thing) and probably toned down Genie a bit, and now they've just realized they needed a bit more Genie in there. James Monroe Iglehart, by far, deserved the Genie in the movie! My dream cast for this film was always the original Broadway cast, they were perfect. That said, I get why Disney wanted a name for Genie. 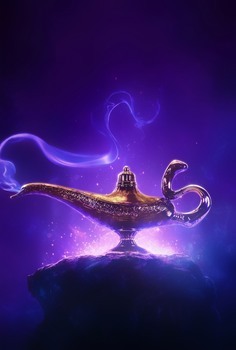 If they were going to stunt cast any role in the film Genie makes the most sense and Will Smith is arguably the best choice for a "big name" in the role. And if that was the price of getting unknowns in the lead roles and avoid another "Emma Watson can't sing" type scenario, I'm prepared to pay it. But yeah, it should have been James. Alan's comments make me worry even more about Guy Ritchie's approach. Will we be getting a movie that's ashamed it's a musical? That underplays and under-utilizes its musical theater aspect? Q: You’re working on a live action version of “Aladdin” with Benj Pasek and Justin Paul. How is that writing technique different from the movie and then the stage show? Alan Menken: It’s still in flux of what’s going to be in the movie. One song in particular we’re very excited about, and I had a great time working with the boys. It’s my music, but influenced by having them in the room. Q: This is Guy Ritchie’s first musical, so what has that been like? Alan Menken: It’s been exciting and, at times, challenging. There are aspects of musical theater where he goes, “I really don’t want to do that.” So the songs will really be taken to new place. This really confuses me as the reports from cinema con earlier this year was that the film is having big song and dance numbers. Most reports called it a big Bollywood influence, personally I think it's more the success of the stage show, but either way there was nothing to suggest they were down playing the musical nature of the film. From the way Menken says the songs will be taken to a new place, it sounds like there's a clash in how the songs are used to tell the story maybe? Like Ritchie doesn't like the traditional musical way of doing it, so they're using the song but staging/portraying it differently? It's hard to say as Menken's, understandably, being a little vague about the process. Personally I'm still really excited for the film. But I think it will go one way or the other. It's not going to be a "safe" direct adaptation like Beauty and the Beast. I think it will be either a fantastic new take or completely miss the mark. I can't fully articulate way, but I just don't see a middle ground for it. Will Smith just posted the new teaser poster on Instagram. I like it. Then again, you really can't go wrong with a picture of the lamp. It's iconic. By the way, you can't view attachments from Blu-ray.com unless you register and login as a member there first. Thanks! It reminds me of the teaser poster for Cinderella with the glass slipper. By the way, you can't view attachments from Blu-ray.com unless you register and login as a member there first. It reminds me of the teaser poster for Cinderella with the glass slipper. That's what I was thinking of. It'll stand well next to it. I find the design of the lamp's handle particularly interesting. I almost get a snake-like feel from it for some reason, like a cobra raising its head before it strikes. I find the design of the lamp's handle particularly interesting. I almost get a snake-like feel from it for some reason, like a cobra raising its head before it strikes. You're right. I didn't notice that at first. It's probably a nod to Jafar (with his snake staff and later snake transformation). I hope it'll be more substantial than the Cinderella teaser which was just the glass slipper. Really? Where's your source for that? However, they don't make it clear if it's a teaser trailer or not. The last time they announced a "first look" at something was for Captain Marvel and were new stills instead of a teaser. We'll see. Some images from the film wouldn't be bad either. I really like the trend with the iconic object as the teaser poster. I hope they keep doing it with other live-action remakes. For example, they can use the poisoned apple for Snow White or the nautilus shell necklace for The Little Mermaid. Yeah, I agree, love the icon posters, and I agree on those choices for the future remakes! And I really love the Aladdin one! Love it! 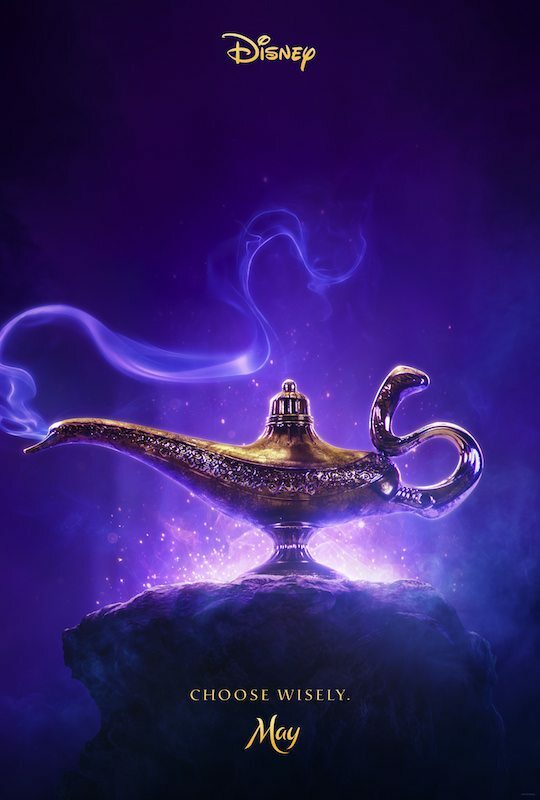 The lamp looks great and I absolutely love that it’s essentially the original teaser poster for the animated movie redone in live action in the Broadway colour scheme. Definitely want to pick this up for my wall!